Welcome to the Pinal County Chamber of Commerce. We are here to promote local businesses in Pinal County and teach them to use some of the most power marketing tools available. We want to bring our Residents to our businesses becuase it will sustain both and insure a fantastic future for everyone! 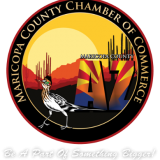 Welcome to the Maricopa County Chamber of Commerce Blog! Keep up to date on what we are doing, and how we are doing it for our members! The Maricopa County Chamber is a Business Driven County Chamber of Commerce who promotes our county owned businesses. When our businesses succeed our community grows and life gets better for everyone! Every year we lose an average of 32 children and a countless number of pets due to heatstroke caused by a caregiver leaving a child or pet in a car. It is true some may do it knowingly with the forethought of, “I will only be a few minutes,” which may turn into many minutes. Others may be irresponsible (yet I have another name for them), but the majority of the cases result from responsible caregivers whom are distracted or in a state-of-mind where they simply, and unfortunately, forgot. We have had this occur to Firemen, Policemen and Lawyers, so it really can happen to anyone. So why not invest $2.00 to have a reminder on our homes or office doors to help prevent this? Today many companies working to solve this problem, including BabySav, expect the caregiver to take some responsibility and invest in a solution. Yet BabySav recognizes in most cases this will not happen, at least not in large enough numbers to make a significant difference. This is why the focus needs to be on where caretakers are going once they exit the vehicle: to stores, offices, etc. The more locations that these stickers are placed, the more the emphasis there will be on awareness, which can help to eliminate this situation. BabySav is working with retailers and businesses across the country to establish new precedents and have this iconic sticker placed on the entrances to buildings and offices, on shopping carts, and eventually as push notifications so that they are seen every day. Much like a stop sign, BabySav labels will become a subconscious awareness creating a response to not forget, for any reason. All of the solutions identified in the graphic above are needed to give full coverage and protection. As mentioned above, there are gaps in each. BabySav is the one solution that will help fill those gaps while complimenting each of the other sectors to help solve the solution as a whole. Let’s make 2017 a death free year!!!!!! 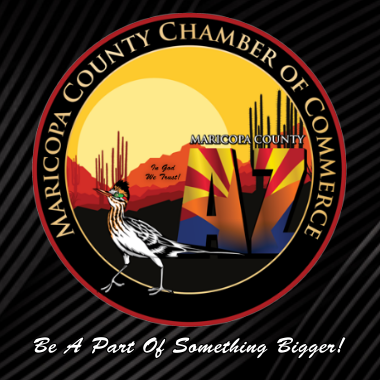 Become A Member of the Maricopa County Chamber of Commerce! Welcome to the Maricopa County Chamber of Commerce Blog. We want to thank all our County Business owners who see the vision that Chamber Credibility should not cost hundreds or even thousands of dollars but be affordable to every honest and ethical business in Maricopa! Apart from adding Credibility and Consumer Trust to your business threw chamber membership we really do offer so much more! We are a Business Driven chamber which means we are putting together tools that will help each individual member! We offer a Search Engine Optimized Members Business Directory tailored towards Maricopa County and the Cities you do business in. We provide every Business member with a Search Engine Optimized Community Profile Page. 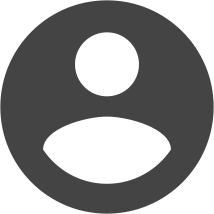 We offer each member a fully functional search engine optimized Blog located and published right here on our site! We offer Paid Facebook advertising for each business member that joins our chamber, this feature helps to brand your business to thousands of possible new clients and customers! We have installed comet chat on our site for our member to use for networking together in real time. You can host your own webinars, start your own chat rooms and video chat with each other. This is going to be a great feature for those members who want to start their own networking and leads groups. We have a really nice Real Estate plug in so that our realtors can list the Commercial Properties for sale, lease or rent and they are also welcome to list their residential properties for those looking to move to our county. Get paid to be a chamber member! We are setting up an affiliate program on our website so that when someone clicks on the chamber logo on your site and visits our and signs up their business or as a resident member you will get paid a % for each one! We are probably the only chamber of commerce that will continually pay its members! When we hit 50+ Members we will start our chamber meetings. Maricopa County has over 400,000 businesses so it should not take us very long to reach this number. If you have never advertised with Google Adwords we are working with Google Reps. You as a new advertising business can apply for 12 weeks of one on one service with a Google Expert and get $100 in free advertising if you spend $25. This only applies to advertising a website you have never advertised before. We hope that you see the same vision we do, that all businesses should be able to proudly display a Chamber logo on their site and have it mean something and at the same time not have it cost them hundreds or thousands of dollars a year to have this privilege!